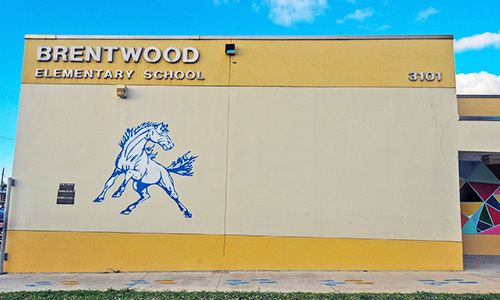 It is with great enthusiasm that I welcome you to the 2018-2019 school year at Brentwood Elementary School the home of the Mighty Mustangs. This academic year promises to be one filled with exciting learning opportunities, academic growth and social development for all students. As we embark upon this journey of learning and exploration, our motivational theme for the school year is “We’re Bringing our “A” Game! With a strategic focus on school safety, daily attendance, academic and student achievement, we will develop students who are well prepared to compete in the global workforce and make impactful contributions to our society. At Brentwood, we have high standards and expectations for each child regarding their academic performance and student conduct. It is my desire that you collaborate with us as we create a culture of excellence through our commitment of fostering a learning environment where all children thrive.